Two classics on one stage! On name brand alone, this show is an easy draw and a safe bet even if you’re only a casual fan of these bands. And you know, as time marches on you’re only going to see them come around less and less until you know, you’re in some distant future wishing you’d went and seen them. Carpe diem yo! 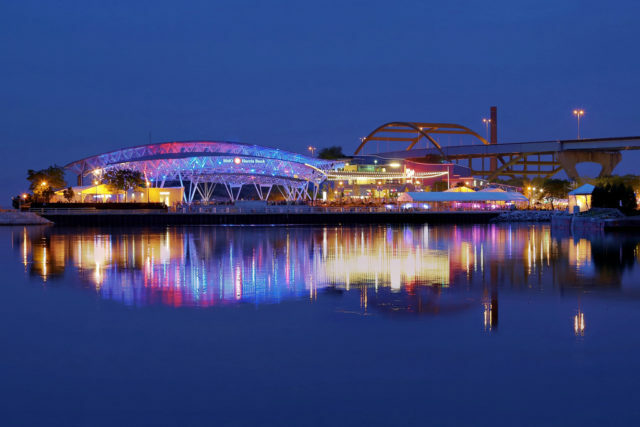 Plus they’re playing at the stunning stage at the BMO Harris Pavilion on the Summerfest grounds this Friday night. 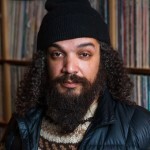 You might not be familiar with local label VoodooHoney; if you’re a fan local music however, you are probably familiar with some of the cast of creatives, singers, rappers, poets and players that form this nexus of artistry. 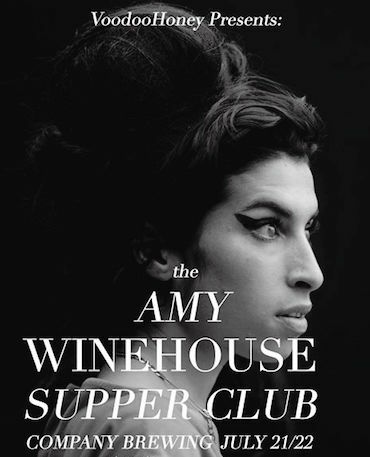 Well, you can get familiar with what they’re about this Saturday at Company Brewing in Riverwest as they commemorate the 6th anniversary of Amy Winehouse’s passing with a musical tribute featuring a stellar lineup of local players like Abbey Jeanne, D’Amato, Klassik, B Free, Angie Swan, Amanda Huff and too many more to tell. Just trust me on this, it’s gonna be dope! 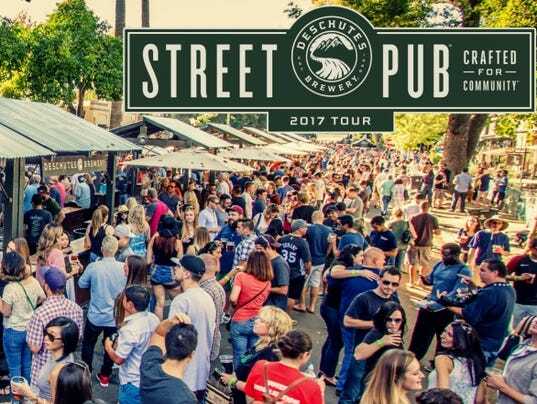 Usually, it’s the bands that tour; this Saturday however, Portland’s Deschutes Brewery rolls into town for an impromptu street party and outdoor “pub.” Featuring their own suds as well as 50 others on a 400 foot bar(! ), this is beer drinking on a whole ‘nother level. As their media sponsor, you’ll hear the connection as they’ve also got a killer line-up of local bands to keep you entertained all day: Swift Technique, Midwest Death Rattle, Queen Hilma, and B-Free! 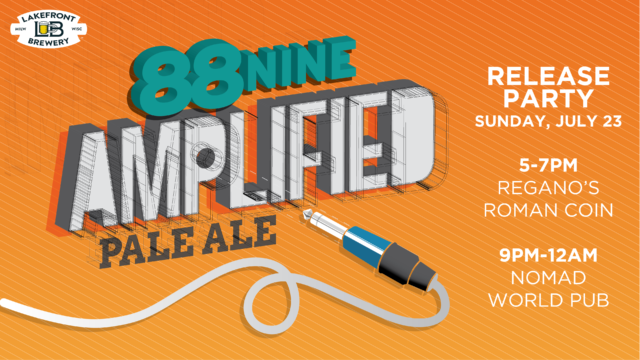 Speaking of what made Milwaukee famous, 88nine is brewing something special as well. We’ve teamed up with Lakefront Brewery for a new beer that puts your support in a bottle– Amplified Pale Ale. Trust us, it’s tasty. Actually, come try it with us! We’ll be tapping the kegs for the first time this Sunday at two little parties. We’ll have a two-stop pub crawl on Brady Street, from 5-9pm at Regano’s Roman Coin for the very first sips and then later, Tarik Moody and I (Marcus Doucette) will be spinning tunes at Sound Travels Live at the Nomad World Pub as we tap a few more barrels from 9-midnight. Summer is fully upon us and you haven’t been to Jazz in the Park yet? I understand, neither have I, but the summer ritual is always a good bet for some early evening groovin, wine in plastic cups and people-watching. Plus they’ve got Christopher’s Project on stage tonight and they’re smooth jammy jazz is perfect for this setting.